Liz graduated from UC Irvine in 2013 with a BS in Biological Sciences. 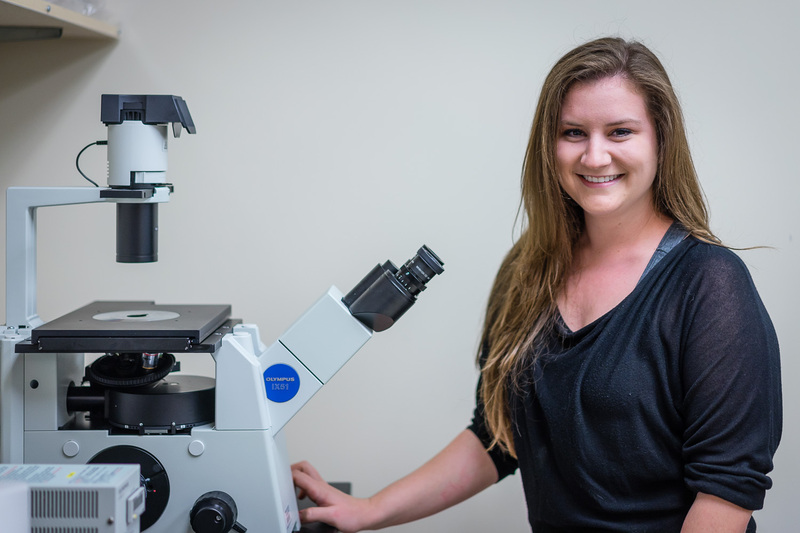 She is currently investigating the role of microglia in recovery following brain injuries. Liz’s favorite past times include playing video games, avoiding exercise at all costs, eating ice cream, and tolerating girl talk. Colony-Stimulating Factor 1 Receptor Signaling Is Necessary for Microglia Viability, Unmasking a Microglia Progenitor Cell in the Adult Brain. Elmore MRP*, Najafi AR*, Koike MA, Dagher NN, Spangenberg EE, Rice RA, Kitazawa M, Matusow B, Nguyen H, West BL, Green KN. Neuron. 16 April 2014.